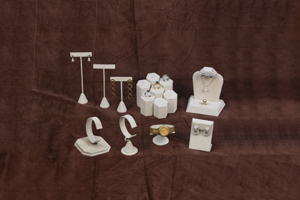 Most retailers are accustomed to using black velvet, or white leather jewelry displays. Like other habits, changing, or integrating different color displays can be a rather difficult task. 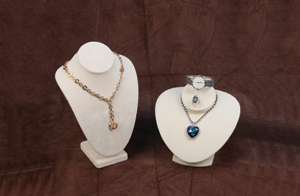 Jewelry displays usually work well with a variety of mixed colors and textures. 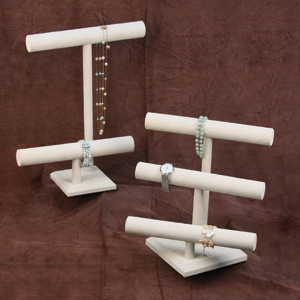 Although it is important to incorporate a diverse pallet of colors, my personal favorite are the Beige Suede Displays. The Beige Suede Displays consist of a lighter texture than the Black Velvet, as well as a more neutral tone than the White Leather. 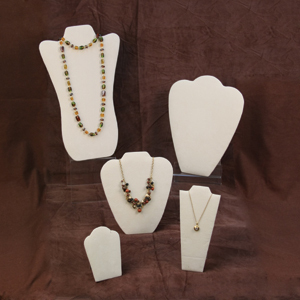 What sets the beige suede apart from the rest is its ability to magnify a multifarious range of jewelry. 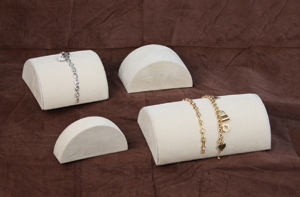 From costume jewelry to fine jewelry, the beige suede brings out the best in every piece. 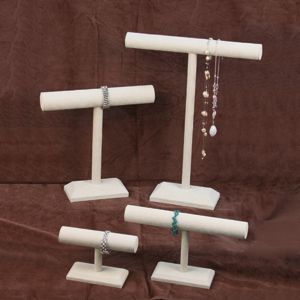 The natural color of the beige suede is the perfect compliment to pearls, beads, gold, silver, two tone, colored stones, and much more.